It was a time for change. A new town was being built as well as a new terminal building. As people moved into the newer town the older buildings at the airport were torn down. The old American side became the new home for a modern terminal to be constructed. 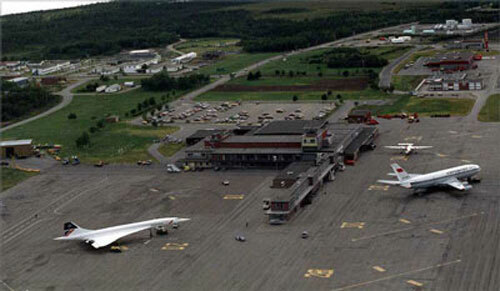 Gander Airport Town no longer existed. In its place became the new town of Gander, independent of the airport except for employment. The B707 & DC8 replaced the Super Constellations and DC7s, giving the trans Atlantic traveler faster travel time between North America and Europe and a greater range without the necessary stop over in Gander to refuel. The airport became like a gold mine that had it's ore depleted.